Info reaching us that the come closer hit maker wizkid unfollows drake on instgram, hmmmm could that be a call for beef or what? this one pepper o..
Starboy Wizkid apparently is not pleased with the Canadian rapper and singer Drake, following rumours fuelling Drake’s apathy towards him. 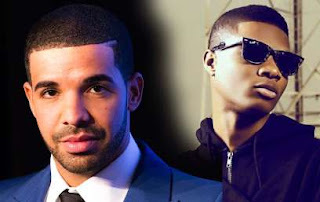 Wizkid has apparently unfollowed Drake on the social photo and video sharing network site Instagram, even though Drake (@champagnepapi) still clearly follows Wizkid (@wizkidayo). Speculated reasons for Wizkid unfollowing the ‘One dance’ singer are pointing to the fact that Drake has not shown much support to Wizkid’s international penetration in form of appearances in his music videos.